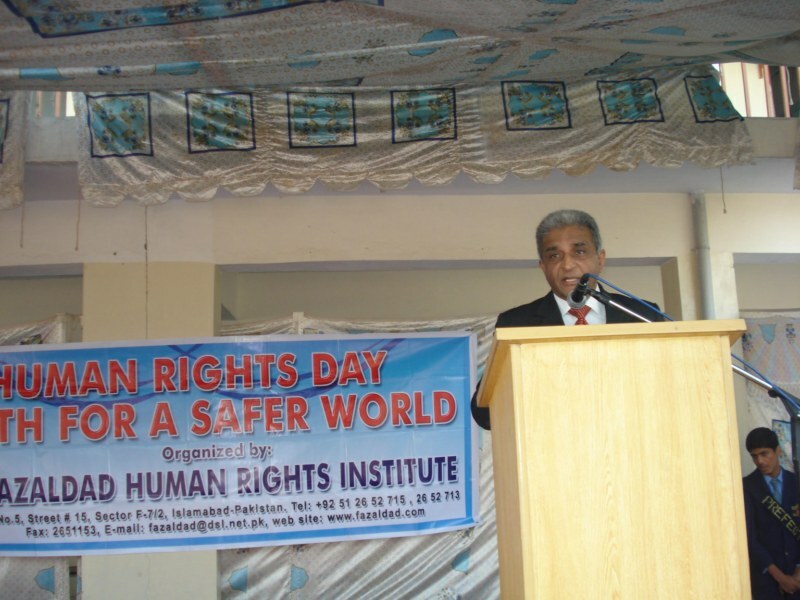 FHRI introduced the concept of "human rights day" at schools across the country. Students spend a couple of weeks in preparation of the day, which includes debates, posters competition, drama, tableau and lecturers on specific human rights subjects which is really a creative way to create the awareness among the students. The number of young students participating in such activities indicate the sensitivity of our youth towards combating violation of human rights. 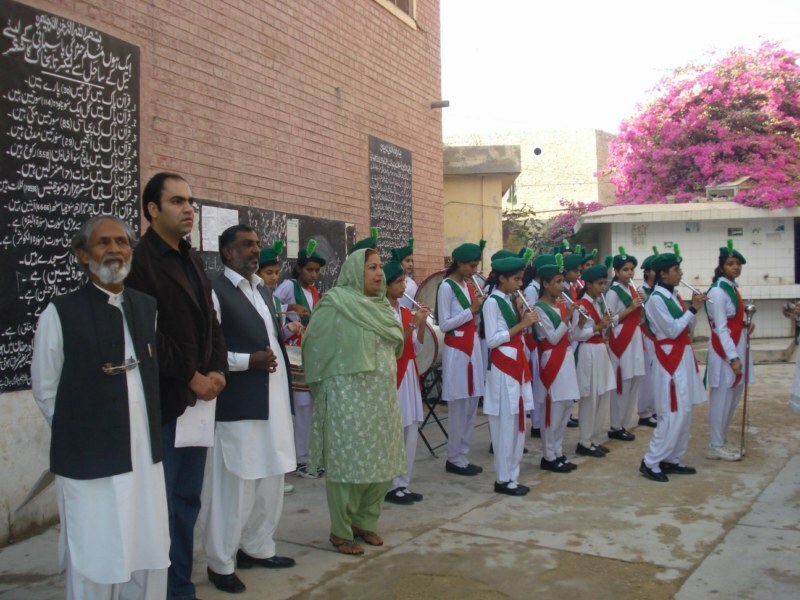 Human Rights Days have been arranged in different schools all over Pakistan in which the students of the schools participated in the following activities. About 170,000 students including teachers and parents have been sensitized in the field of human rights. The students performed very well including posters competition, speech competition and debates. Some of the speeches were excellent and many times in different schools it was difficult to judge the first, second and third positions. That shows their interest and commitment. Normally students of Class III to Class X participate in posters competition. The posters were excellent, reflecting the violence against human lives and dignity and demand for peace and honour. Students participated in a very active manner. FHRI has a pretty good collection of posters which is all relating to human rights. 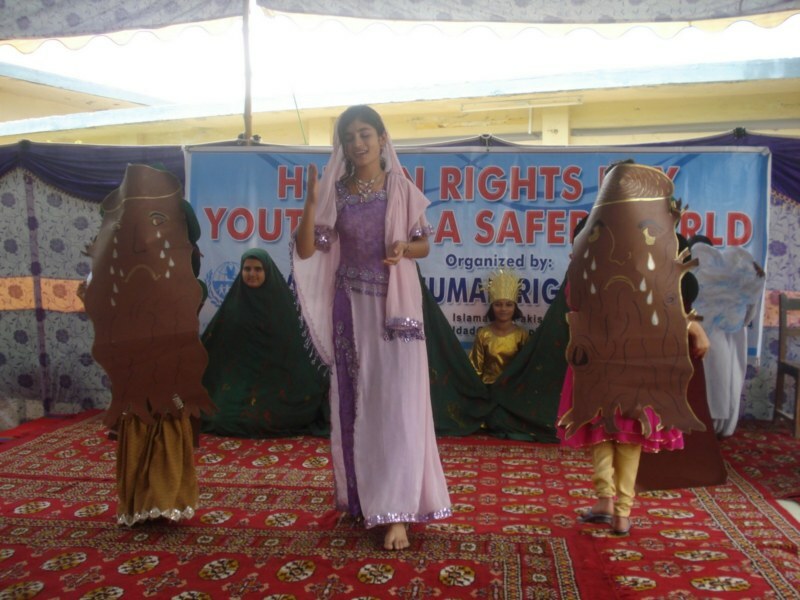 They also presented tableau and drama in which human rights aspects like women, children and minorities rights were highlighted. Poems and performances on national and regional songs were also performed. School Principals and Resource Persons from FHRI gave several lectures including “ The Importance of Human Rights in Student’s Practical life in every program. It enables students to understand their rights and responsibilities as member of the society. The lecture also highlighted that Islam is a religion of peace and we should adopt values of tolerance, understanding and acceptance of difference in opinion. All winning participants are given prizes at the end of the program. Fazaldad Institute has hired a professional team of theatre group consisting of 10 TV and stage artists. In Sindh Fazaldad Institute hired another team, which has performed the drama in Sindhi language. This group goes along with the team of FHRI and performs dramas on human rights issues by playing roles of father, mother, son, daughter, molvi (iman mosque), sweeper, Chaudhry and others. The interactive theatre performances were very informative and the issue of human rights, women rights, minorities rights, human rights and gender equality were clearly addressed. The fact that Islam is a peaceful religion which respects all humans irrespective of their caste, creed, colour, language or race was also highlighted. The medium of theatre is a very powerful one, particularly for school children who enjoy the light hearted performances and learn a lot from them. The interactive theatre is becoming very effective and popular and it is proving to be an excellent tool to change the mindset of the children and along with that challenging the perceptions of the parents and teacher attending the HR days. The result and impact of these Human Rights Days programs are spectacular. Over all 115 programs went very well. The Institute has had the singular accomplishment of introducing human rights in remote areas of Pakistan, including FATA and rural districts, where human rights programs have never been conducted before and where the need is greatest. The very important point we have seen in this project is response and the participants output which is shown in every program. The involvement and commitment shown by the students and the community was marvellous. They have really shown their enthusiasm in a very effective manner.